Conventional loans are mortgages made by private lenders that meet the underwriting requirements of Fannie Mae or Freddie Mac, two of the largest acquirers of mortgages on the secondary market. In fact, nearly 70% of all home loans made in the United States are conventional. Fannie and Freddie are government-sponsored entities (GSEs), not agencies, that are regulated but not operated by the U.S. Government. There are two main characteristics of conventional mortgage products. 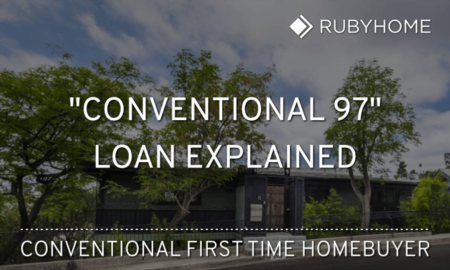 The word “conventional” refers to a loan not insured by a government agency (unlike FHA, VA and USDA loans which are backed by government-operated insurance pools). Also, the size of conventional loans cannot exceed conforming loan limits set by the Federal Housing Finance Agency (FHFA). Given the close association of the two features, you’ll often hear the two words “conventional” and “conforming” in the same breath. Until recently, getting a conventional mortgage meant making a 20% down payment. That wasn’t a very pleasant situation for first-time home buyers, who often had less cash saved up to buy a home. In the past, conventional loans were mostly used by “move up” buyers who could use the equity from their first home as the source of down payment money to buy a bigger home. However, the world is different today; several conventional loan programs that require less money down (e.g. 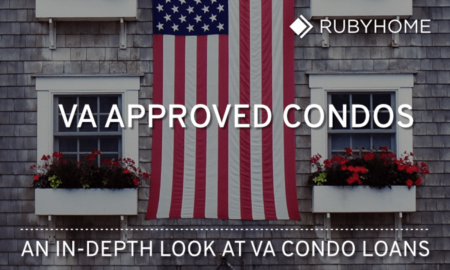 3% or 5%) and compete directly with traditional low down payment programs like FHA. What’s more, some conventional mortgages are specifically designed for low and moderate-income borrowers. One thing that's been consistent, over time, is that borrowers generally need good credit to qualify, namely a FICO score of 680 or higher. This is your straight-up, classic version of a home loan for borrowers with good credit and at least a 20% down payment. When the LTV is 80, no mortgage insurance is required. Pricing is very competitive, especially when you can skip the extra monthly add-on for those insurance premiums. This Fannie Mae Conventional 97 program is for first-time homebuyers only. That’s not as harsh as it sounds. It just means you can’t have a current interest (ownership) in another property nor an interest within the last three (3) years. For example, if you sold a house five years ago and rented ever since, you're an eligible first-time buyer. This program only requires 3% down. Here’s another Fannie Mae program but for low to moderate-income borrowers; income limits apply. Furthermore, applicants will need to talk a homeowner education course to become eligible. For HomeReady, borrowers only need a 3% down payment. And it’s open to buyers who’ve owned a home within the last three (3) years. These two, similarly named programs, are Freddie Mac’s low down payment options. The down payment requirements are either 3% or 5%, depending on the number of units in the property (1 to 4). A one-unit property qualifies for the Home Possible Advantage loan and requires 3% down. Multi-unit properties qualify for the Home Possible mortgage program and require 5% down. Applicants do not need to be first-time home buyers, but they do need to take an online or in-person homeownership course to qualify. If you’re looking to cash out some built-up equity, take advantage of a lower interest rate, or convert to a shorter-term mortgage (e.g. change from a 30-year to a 15-year loan), conventional refinance programs are available, too. The amount of cash you can extract varies by program. KEY TIP: Getting a pre-approval before home shopping could save you a lot of time and heartbreak. Knowing what you can afford - in advance - will help you focus on the right price range, reducing the odds of falling in love with a house you cannot afford. Plus, most sellers won’t allow buyer’s agents to show their home unless the home shopper can demonstrate his/her ability to buy it. It’s easy to see, from the conventional programs listed above, that there is more than one way to get a loan with only 3% to 5% down. What’s more, down payment gifts, grants and “affordable seconds” are allowed, too. Gifts must be made with no expectation of repayment to the donor; they cannot be a loan. You and your donor will sign a gift letter stating as much. Breaking this rule can bring a world of pain (legal trouble) to either party. While conventional loans are available with only 3% to 5% down, putting up less than 20% will require you to carry private mortgage insurance (PMI). Mortgage insurance is a small fee, added to your monthly mortgage payment, which protects lenders should the loan go into default. The PMI rate varies based on the loan-to-value ratio (LTV), which is the amount you owe compared to the home’s value (based on the purchase price or appraised value, whichever is less). The more you put down, the lower your insurance rate. One cool thing about PMI is that the calculated rate decays over time until it eventually goes away. Meaning, as you build up equity in your home, the amount of mortgage insurance you pay goes down. Here’s another good thing about private mortgage insurance: you won’t have to refinance your loan to get rid of it. By contrast, the only way to get rid of FHA mortgage insurance is to refinance the mortgage. Conventional loans cannot exceed the conforming loan limits set by the FHFA. Loans that exceed the limits are called Jumbo Loans and carry a slightly higher interest rate. Conventional programs require a FICO score of 680. Some programs allow scores as low as 640. Compare that to FHA loans, where the FICO score requirement is 620 (and as low as 580 in some cases). FHA loans require a 3.5% down payment, which is still a pretty good deal. Underwriters will determine what you can afford based on the how much debt you carry compared to your income, called a debt-to-income (DTI) ratio. Two calculations comprise DTI. The first calculation, called a front-end ratio, shows what percentage of your monthly income will be used to make your monthly mortgage payment. The second calculation, called a back-end ratio, is very similar to the front-end ratio but it adds all your monthly debt obligations. All single-family, one-unit properties are eligible for any conventional loan program. From there, the kind of home you want to buy or refinance gets a little tricky. Each program has its guidelines for condos, manufactured homes, PUDS, and co-ops. Rather than bore you with the details, you may just want to ask a loan advisor about your particular situation and the kind of home you want to finance. The home you purchase must be your primary residence. You must plan to live there. Conventional loan terms are available as 10, 15, 20 and 30-year fixed rate mortgages. Adjustable rate mortgages (ARMs) are available, but not for every program. By far, 30-year terms are the most popular choice. How long will I have to pay private mortgage insurance? You only need to pay mortgage insurance until you’ve paid down the loan balance to 80% pf the home’s original appraised value. At that time, you can request a PMI cancellation. PMI goes away on its own at 78% LTV. Can I get a conventional mortgage as a first-time home buyer? Absolutely! Today, it is easier than ever for first-time homebuyers to use conventional financing for their first home. Can I use a conventional loan to buy an investment property? Some programs allow investment property financing. Though, you’ll likely need to come to the table with a higher down payment. You’ll also need more reserves (cash-on-hand). Can I use a conventional loan to buy a second home? Yes, if you occupy the home for part of the year and it is a one-unit dwelling. The property cannot be used as a rental or timeshare. What happens if my credit score is lower than conventional program guidelines? If your FICO score falls short of the published guidelines, your loan advisor will find another mortgage program for which you qualify. What kind of closing costs can I expect? Conventional mortgages have the same closing costs as most other loans and include things like appraisals, escrow fees, title search, government recording fees, etc. However, you will not have to pay upfront mortgage insurance premiums like FHA, VA or USDA loans. How long does it take to get a conventional loan? When market conditions change, lead times on loan processing, underwriting and appraisals can slow down. For example, if interest rates go down quickly, refinance and purchase activity goes up in the residential real estate market. Yet, the capacity (number of people who provide services within the industry) is fixed. The national average for “time to close” is roughly 45 days. You can make it faster by being prepared, like gathering your pre-approval documents (bank statement, pay stubs, etc.) in advance. By far, one the best things you can do is to make sure you’re pre-approved before home shopping. Advancements and “digitization” of loan underwriting improves the overall lending process. In fact, many mortgage companies can fund loans in as little as ten (10) days. No. But it’s a really good idea to have a professional inspection in case there are any major flaws with the home. You’ll want to know, before you buy, that the home is safe and sound. Plus, if any defects show up, you and your real estate agent can negotiate to have the seller fix them (a contingency requirement) before you close.